BMC Cancer 2019 19:324 reports a rare case of MUTYH-associated polyposis, a colorectal cancer hereditary syndrome, diagnosticated after an intussusception. Colorectal cancer is an important cause of cancer related mortality that can be manifested by an intussusception, a rare occurrence in adults and almost always related to tumors. Approximately 5% of colorectal cancers can be attributed to syndromes known to cause hereditary colorectal cancer, such as MUTYH-associated polyposis, autosomal genetic syndrome associated with this disease. 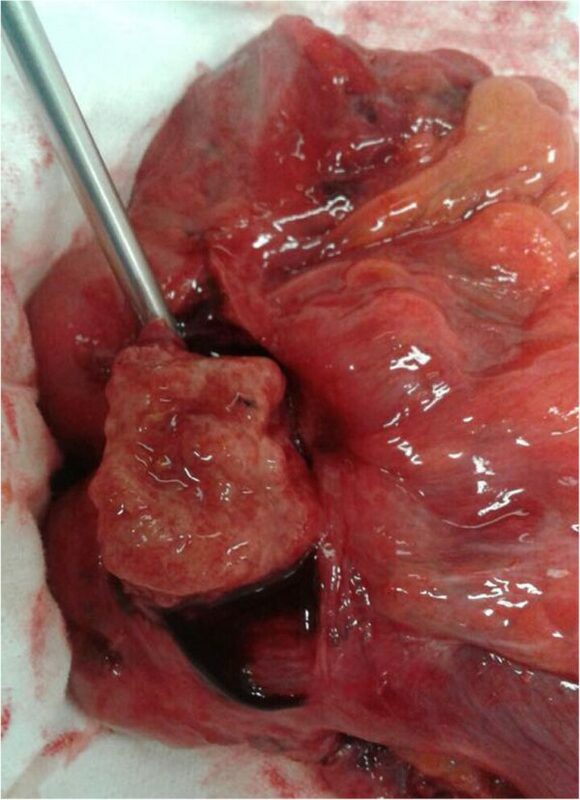 A case of 44 years old male, that sought medical consultation with a complaint of abdominal discomfort, that after five days changed its characteristics. The patient was sent to the emergency department were a CT-scan revealed intestinal sub-occlusion by ileocolic invagination. Right colectomy was carried out. The anatomic-pathological examination revealed a moderately differentiated mucinous adenocarcinoma and multiples sessile polyps, which led to the suspicion of a genetic syndrome. In the genetics analysis two mutations were observed in the MUTYH gene, and MUTYH-associated polyposis was diagnosticated.